This low impact HIIT (high intensity interval training) class will help you to burn calories, lose fat and tone up. What’s more it’s safe for those with minor pelvic floor issues, who’ve recently had a baby or have injuries. The exercises are performed against the clock and designed to make you work hard and target every muscle in your body. During class I will encourage you to work at your own personal ability level and provide adaptions where needed. 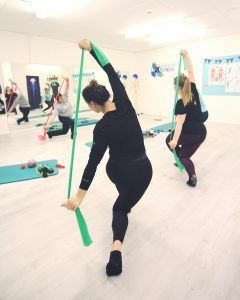 It’s recommended that you have first completed the 6 week Every Woman Foundation Course®, have attended Pilates classes or had one to one with Sian. This ensures you know the basics of pelvic floor and core activation needed during the moves. However this may not be necessary, so do get in contact to find out.